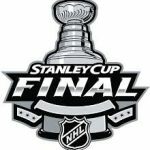 As an Ottawa Senators fan it’s tough to move on from last night, knowing that the Sens were just one bounce away from playing for the Stanley Cup, in what …. Saturday night’s OT win for the Sharks really puts the interest back into this series. The Penguins were one goal away from going up 3-0 and being one game away …. The Penguins brought their A-game in game 6 in Tampa Bay, and this win allows us to be treated to yet another game 7 in these 2016 NHL Playoffs. This …. I hit both my free NHL picks last night. They were a couple slight favourites, but that still pays the bills. I’m going to stretch it a bit more tonight …. We finally lost one of our plays last night when the Preds couldn’t get it going against the Ducks, but the Panthers win over the Kings kept us in the …. Last night was a very difficult pill to swallow for me when it came to my NHL picks. The Senators looked good all game, but ended up losing the Rangers …. 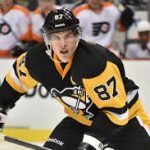 There are quite a few games on tap for a Monday night this evening in the NHL, so I’m confident that we can find a few winners to help head ….